Have you decided what you’ll serve for your appetizers on Thanksgiving? I have felt uninspired all month until last week when I was drinking a saison while cooking dinner. I didn’t want the beer to end, so I made it into a chipotle cranberry sauce and served it over cream cheese. This is what happens when you drink you beer. It inspires you. (This also works for bourbon and wine.) I present to you chipotle cranberry sauce with raspberries and saison over cream cheese, voilà! Joe started an event on Friday’s in Atlanta called beer hour. If you’re in this area you should come (only not this week because of Thanksgiving. Stay home and drink beer with your family). Ragamuffin Brewery recently became a sponsor and sent home the aforementioned inspiring saison because I wasn’t able to make it last week. Ragamuffin was launched by a friend in his garage, I love that so many great ideas find their start in garages. If you get a chance check them out, especially their saison! If you like spicy increase the heat by adding additional peppers, sauce or including the seeds. The saison will foam up a little. If it gets too high just reduce the heat. 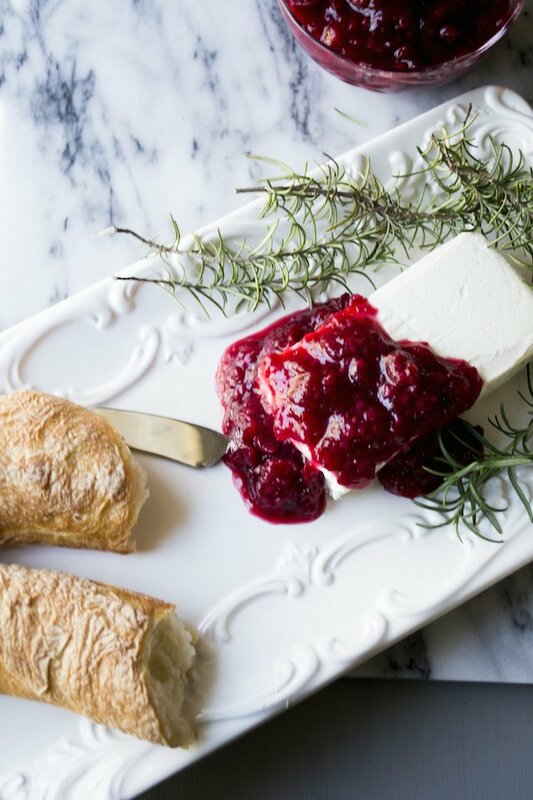 If you don’t have cream cheese you could also do brie. Just warm the brie a little before serving. Combine cranberries, saison, sugar, raspberries, pepper and adobo sauce in sauce pan. Heat on medium until cranberries begin to pop and sauce becomes jam like.